From the corsairs of the Barbary Coast to Blackbeard to Jean Lafitte, pirates have been a part of every culture for centuries. Sometimes terrifying but always colorful characters, their history is as rich with controversy as it is with gold doubloons. The Everything Pirate Book is full of fascinating and little-known facts. Did you know that: Around 75 B.C., Julius Caesar was captured and ransomed by Cilician pirates. After he was released, it is said that he immediately hunted down his captors and killed them; Scottish seafarers and pirates were often nicknamed "red legs" because they wore kilts year round, and their bare legs were often wind- or sunburned; The image of the classic pirate, with flowing clothes, pegleg, eyepatch, parrot on his shoulder, and treasure map in his hand is primarily a result of Robert Louis Stevenson's Treasure Island. With each passing decade, the legends surrounding pirates have grown to epic proportion, right down to their peglegs and buried treasure. 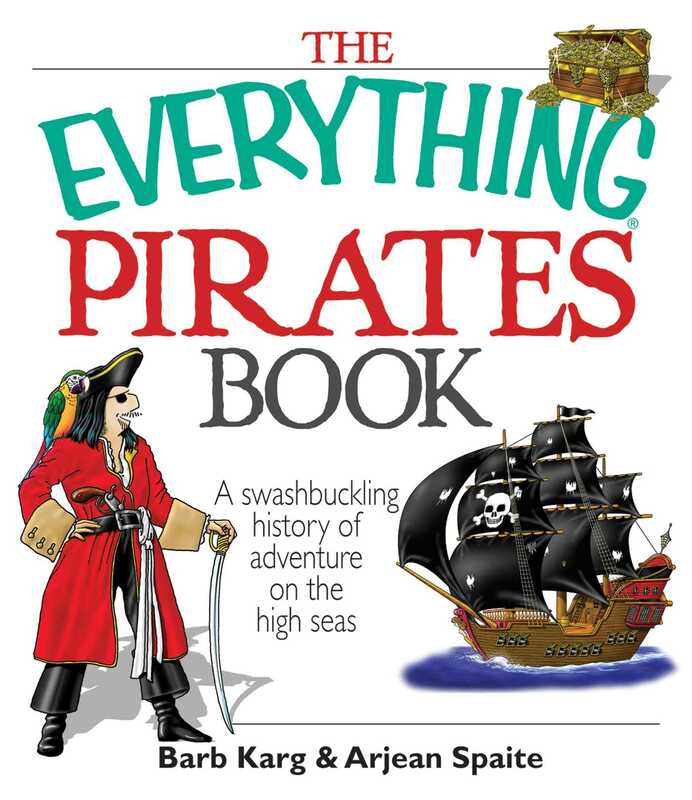 The Everything Pirate Book will take you on a pirate tour from ancient times to their Golden Age to the modern-day search for buried treasure and reveals the truth behind the Hollywood hype.